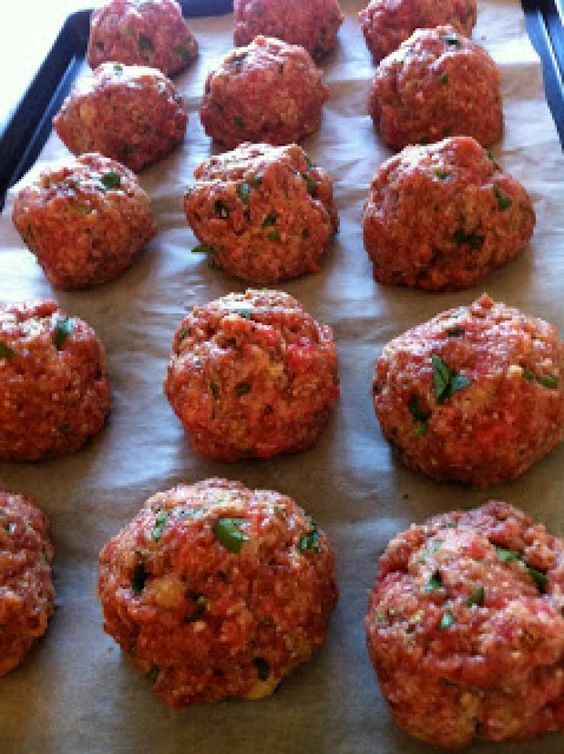 This meatball recipe reduces mess–and fat–by baking the meatballs instead of pan-frying. Parmesan and panko add great flavor and texture. Make them ahead and simmer all day with Basic Marinara sauce (your favorite store bought works, too…click on photo of sauce jar for my recipe) in a crock pot set on low. Or heat on the stove as you are boiling water for pasta. Tip #1: Double the batch and freeze half to serve later as mini meatloaves. Or reheat with sauce, top with cheese and make into a mean meatball sandwich.Mix all ingredients with hands. Form into golfball sized meatballs. Bake at 350 degrees for 30 minutes. Tip #2: If you have a leftover piece of rind from the Parmesan, let it simmer in the crock pot with the marinara sauce or save for another soup recipe. This will add a great flavor boost to most any sauce or soup.